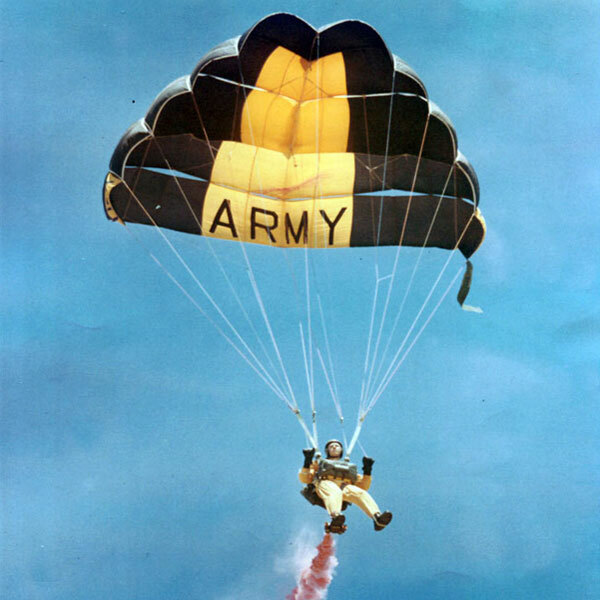 In 1959, nineteen Airborne Soldiers from various military units formed the Strategic Army Command Parachute Team (STRAC). 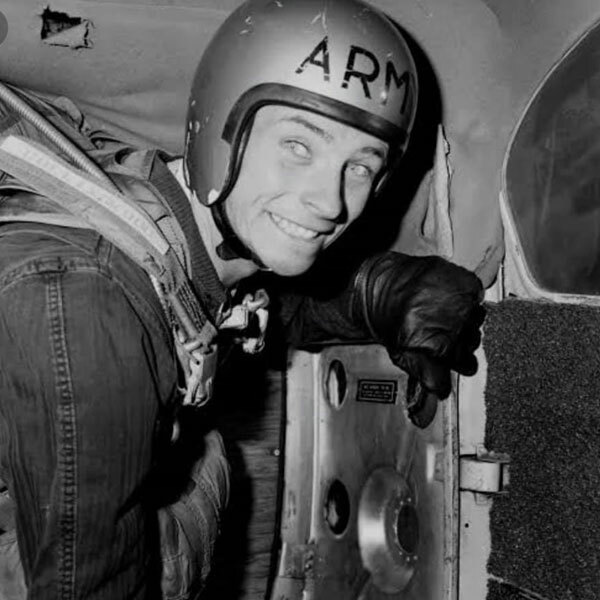 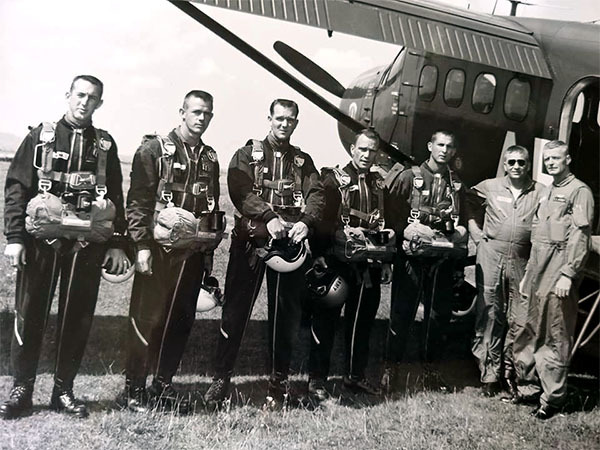 Brigadier General Joseph Stilwell Jr. gathered the Soldiers with the intent of competing in the relatively new sport of skydiving, which at that time was dominated by the Soviet Union. 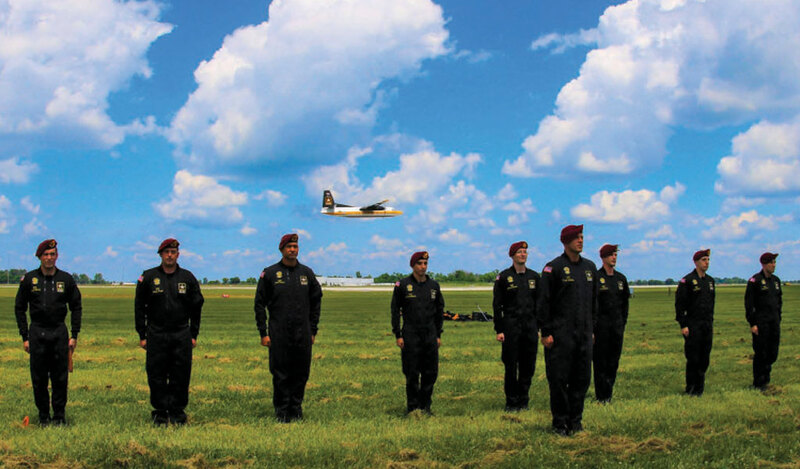 That year, the U.S. Army team began representing the United States on the international competition circuit and performed their first demonstration in Danville, Virginia. 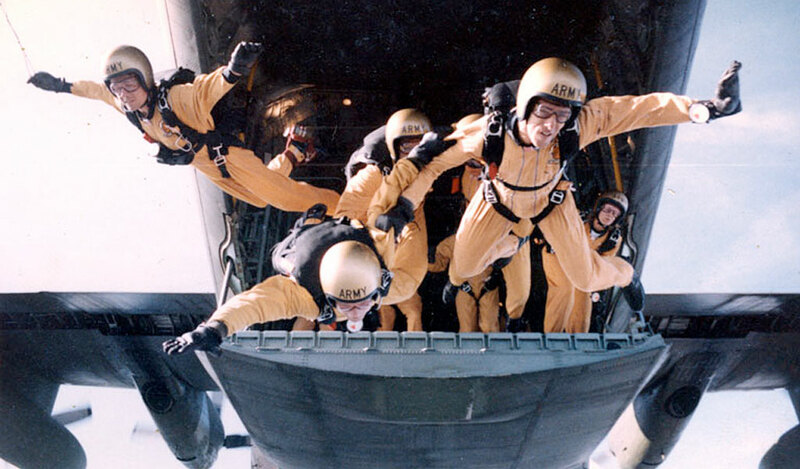 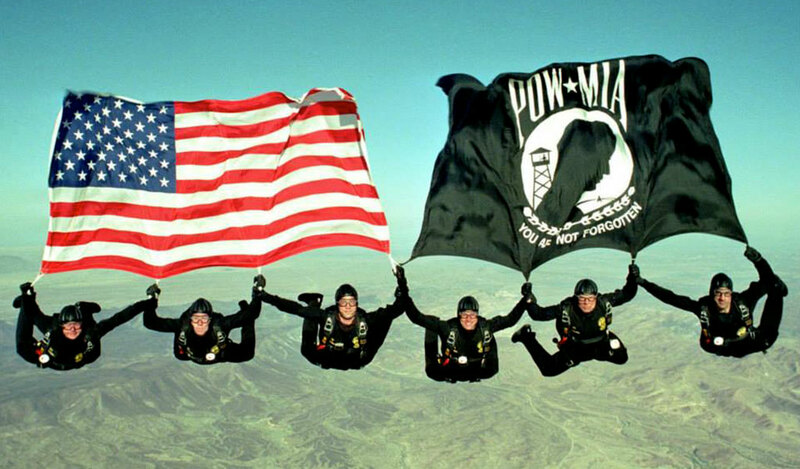 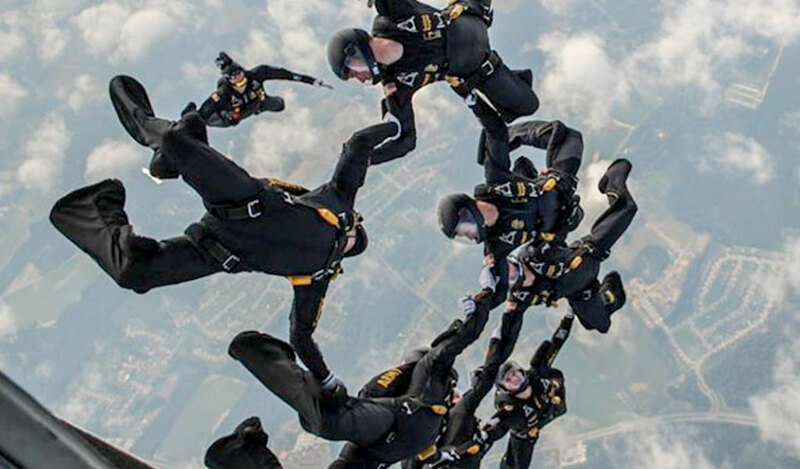 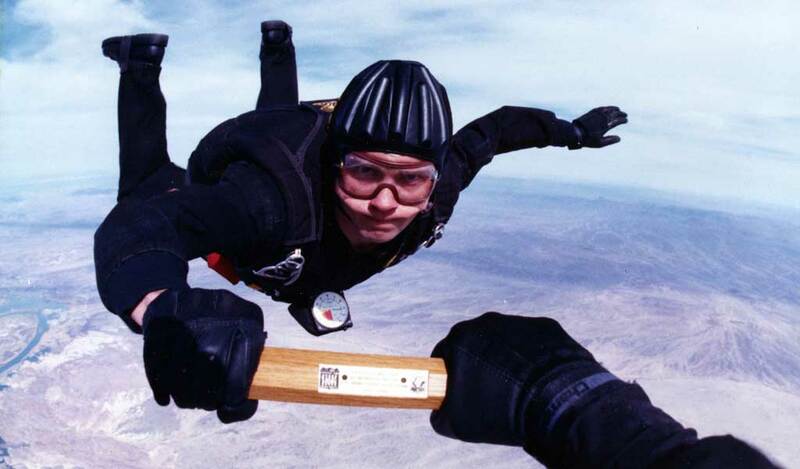 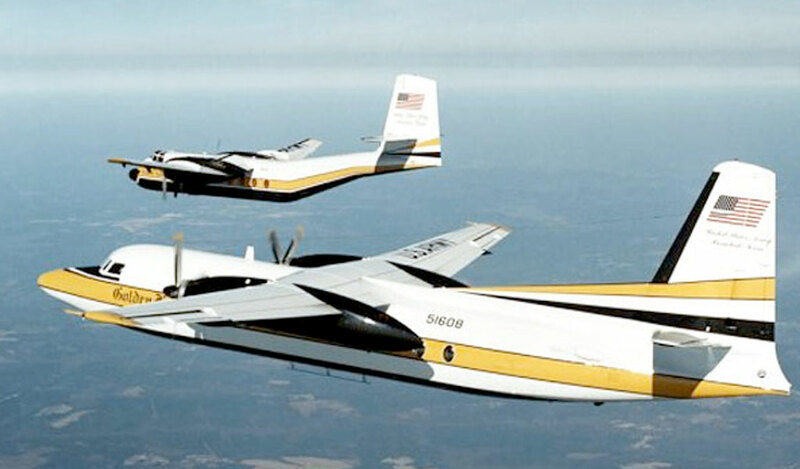 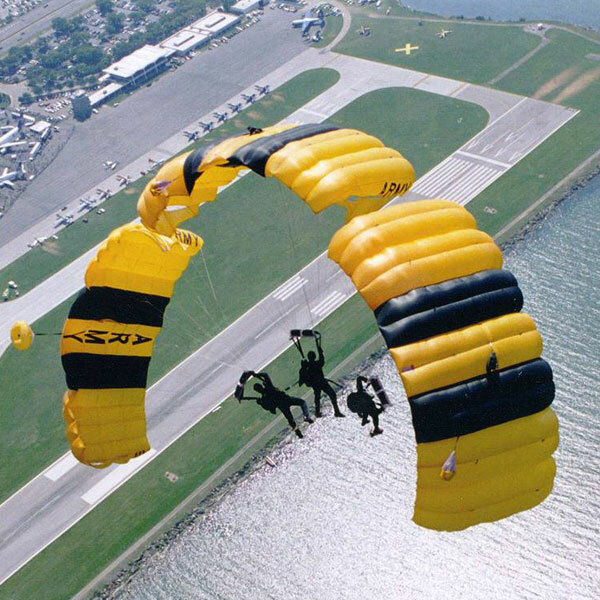 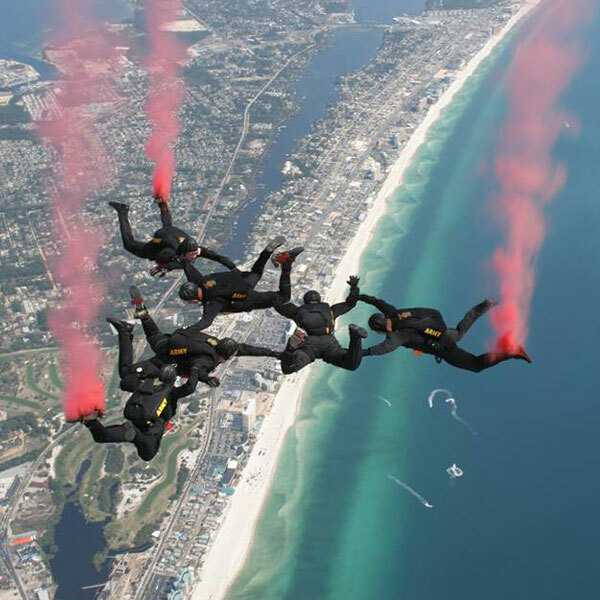 Two years later, the Department of Defense announced that the STRAC team would become the United States Army Parachute Team. 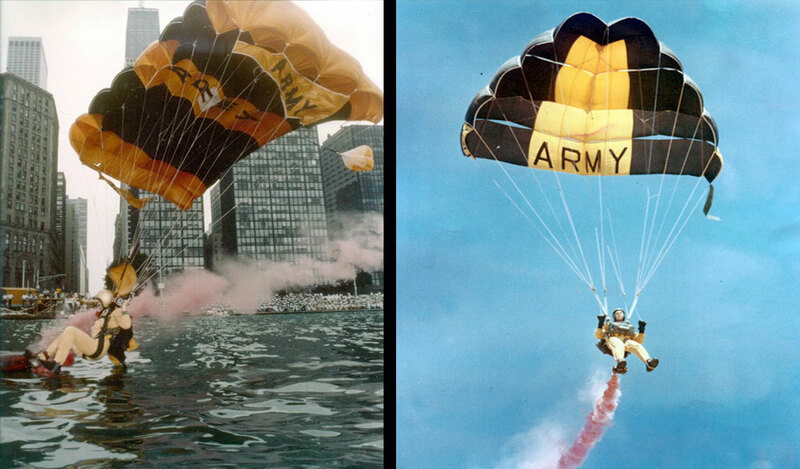 By 1962, the team earned the nickname the "Golden Knights". 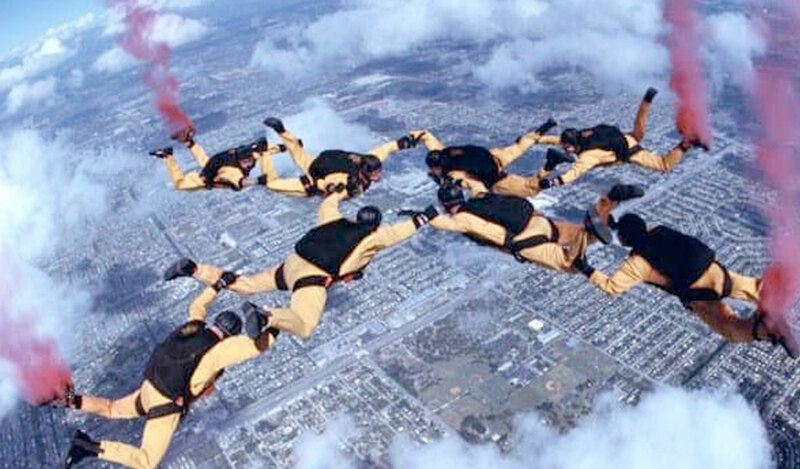 "Golden" signified the gold medals the team had won while "Knights" alluded to the team’s ambition to conquer the skies.